In fact, ninja course benefits can be a lot, but many of us may have the motion that the ninja courses are usually hard to get hands. Also, we may be not strong enough to take on this challenge. However, ninja course training is actually the first choice for people to get in shape. If you have made the decision to buy a ninja course, you will make an investment in the physical fitness and entertainment of children. As the parents or the caretakers, you can all use the ninja course to help the kids to have fun. Also, the ninja course can help inspire the imagination and creativity of kids. Usually, the ninja courses have various kinds of themes, which can bring kids hours of entertainment. Before buying the ninja course, you may need to know more detailed information about the ninja course. Let’s get started right now! What will a ninja course include? There are abundant of pieces for you to choose from when you are going to make an ideal ninja course. Packages usually contain slide, character themes, medieval castles, starting gates, and the list can still go on. All of the stuff you can recombine them to create a perfect theme. Also, kids can develop their imagination amazingly and gain tons of healthy fun. After you bought the obstacle course package, first, you will get a 3-year warranty for the package. Second, the blower in the package will have a lifetime warranty itself. This point is necessary because the mechanical stuff can always catch on a problem. And then you can get the patch kits to mend your tears and an emergency exit to quickly deflate the unit, while you can still receive a banner which you can use to display your telephone number and your company name. Finally, those small tools for inflating the obstacle like spikes, ramp, tarp, holder, card, and glue, are all involved in. With all of these tools in your warehouse, you can deal with most of the problem that will happen on your equipment. The expense of the ninja course is almost the prior thing buyers take into their consideration. Then, here comes the bill. Actually, buying a ninja course cost less than the rental expense. 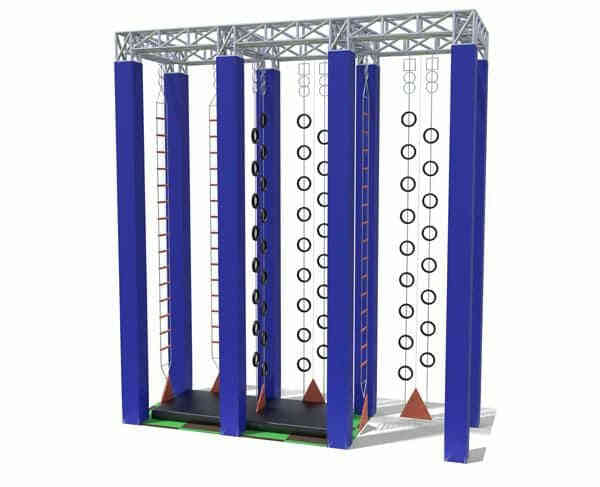 Also, rental fees can go very high if you rent the obstacle course frequently. But your expense will almost the stay at the initial cost unless you have to update your playground thoroughly. Whether you are the one who wants to start an indoor playground or an outdoor playground, or a parent, preschool center or childcare owner, or grandparent. Your final purpose is undoubtedly to entertain the children. Whatever you are thinking about, it is a wise investment for you to buy a ninja course for your private place. Once decided to send the order, you should choose the advertised or customized units to live up to the theme requirements and specifications. 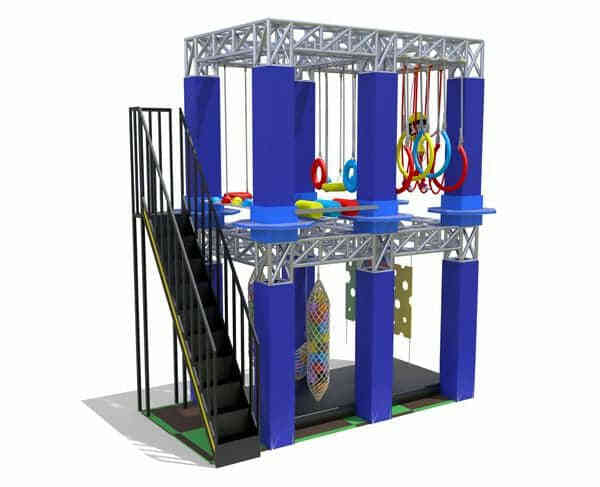 Many parents and grandparents can easily find the same thing that the child love to play in the playground and always have a good time with the ninja course. Actually, the child can not only have a great time but also can increase their coordination and muscle in the activity. Even more, the games will help stimulate their imaginations by various theme and colorful pieces. In fact, parents often show their appreciation to the park owners because of safe and fun equipment. From all the facts presented, we can see that not only can children and parents get lots of fun, but also can the indoor playground owner get lots of good advertisement and press through the modern media. Businesses that specialize in rentals and party supplies will gain a lot of profits from the ninja course. Once the owners buy one for their playground, they will be shocked at the request for rentals skyrocket. Also, the popularity of their ninja course will give them a big surprise. After the installation, the next thing you have to do is to put forward a few safety rules for operating smoothly, as well as preserving the unit. By following the rules in the sign, the child in your indoor play park will ease into a happy ocean. In this way, the child can enjoy plenty of fun safely and healthily while playing and jumping in the ninja course. If you buy the ninja course for your playground, then, congratulations! You have just made a smart investment that will bring you lots of return in the coming days. The reason why lots of return will come for your business is that the ninja course can really help children learn important skills. While playing in the obstacle course, children can improve their muscle strength and the awareness of coordination. Joining in thought-provoking and healthy activities, surrounded by various themes, children can release their imagination. Children can entertain themselves by the ninjas, and parents will appreciate the reliable and fantastic ninja equipment provided by the business owners. In the end, business owners will find that they have served multiple purposes by providing such a safe and cheerful environment. Various pieces of ninja course make all kinds of activities accessible for children. The components and lots of themes can help the child to discover lots of ways to have fun with their little friends. Because of these multiple functions, children can emancipate their imagination freely, so as to bring extra fun for themselves. Just, for instance, a medieval theme of toy land theme combined with shining and bright castles can help the child to learn more. As the parents, if you buy a ninja course for kids, you will help your child to become more creative and also physically stronger. Navigating through tunnels, climbing up themed terrains, sliding down the slide, even just a simple jumping will help improve muscle tone. While kids are practicing their hand at challenging new things, mishaps and falls may happen accidentally. Considering this safety issue, there will be padding provided to protect the kids in a fall. Usually, customized ninja courses in the playground can help you foster your special creativity. With these unique courses, your business will have a good reputation among your customers. Preschool operations and childcare centers will also find this kind of ninja course full of exciting experiences. Even more, companies specializing in cheering child will be aware of the high demand for ninja course. Especially when there is a birthday party or community event. You can just see, what an unforgettable experience the ninja course will bring to the child! When challenging some sections in the ninja course, kids can always find someone as their partner. During the training, kids will meet a lot of challenges, also numbers of new peers. They can form a team together to go to races or training. You can always find a satisfying indoor playground for kids to start training for ninja courses. And children of various age groups will find proper courses in those playgrounds. In a word, looking at the ninja course, it helps improve body cardiovascular health when children join in the courses. Through the course, kids can also strengthen their muscle and burn the fat. Spare out some time, take the kids to the ninja course, they will have a blast. 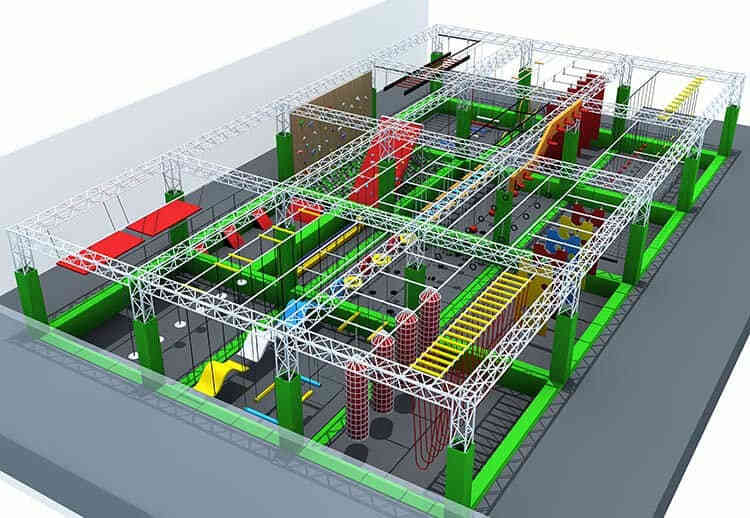 This entry was posted in blog and tagged indoor playground equipment, trampoline park.